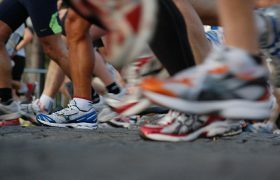 When searching for athletic shoes, it is important to consider you walking gait. There are many shoe stores available with a knowledgeable staff to help you choose the correct type of athletic shoe. By choosing a shoe that is correct for your gait, your feet will be protected from injuries. Determine what your arch type is before you get athletic shoes. Not all of them are created to fit properly on all arches. One way to do this is to moisten your feet then place your feet on a sheet of plain paper. Wet parts are going to allow you to see your arch type. If you see most of your footprint, then you have a flatter arch. A high arch means that you won’t see the middle of the print. This information will help you find a shoe that supports your arch correctly. 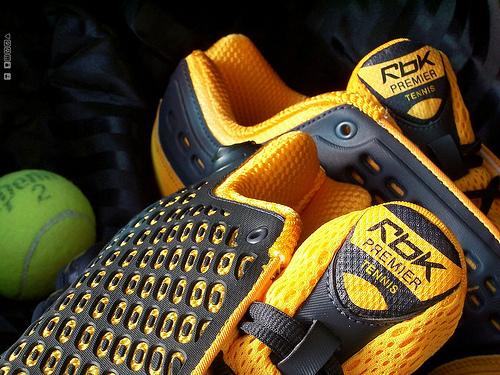 Invest in good athletic shoes. 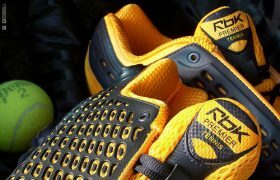 If you like to jog, walk, run, exercise or play gold, there are shoes made specifically for those activities. They support your feet. Shoes that aren’t made for people to do physical things in them may not support your feet, and that can damage your ankles, feet, or knees. Shoes come in a variety of materials. When shopping for athletic sneakers, choose shoes that provide adequate ventilation. 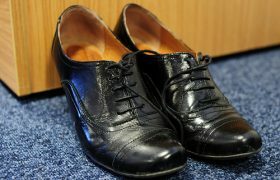 Leather shoes often come with ventilation holes along the sides of the shoes. For maximum ventilation, choose shoes made primarily of mesh. This allows your feet to stay cool and dry on the hottest days. Different shoe companies size their athletic shoes differently. For example, a size 7 athletic shoe made by one company can be up to a whole size different from a competitor’s shoe size. 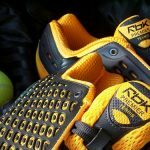 For this reason, it is vital that you try on several athletic shoes prior to making a purchase. Photo by DeusXFlorida (10,211,658 views) – thanks guys!